Lisa Talks About... - Page 186 of 201 - Lost in a book somewhere. Send tea. The life of an actor is never easy; it is even more difficult when you are an out of work actor whose biggest acting achievement is a two second walk on part on a sofa advert. Unfortunately, this is the situation that Lily finds herself in. When the opportunity comes up for Lily to travel to LA to be part of her cousin’s wedding she jumps on it. 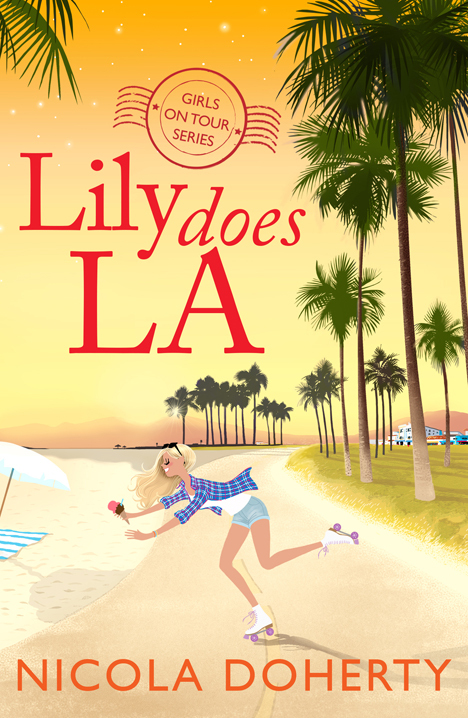 When she finds out her cousin’s future husband is a Hollywood agent it looks like Lily’s luck is about to change. I loved the first part of the Girls on Tour series – Poppy Does Paris. I did find Lily Does LA a little bit harder to get into. Initially, I found Lily a little bit petulant. She was selfish and attracted the wrong kind of drama. I have to admit, she was really hard to like. Unlike Poppy – who seemed to make genuine mistakes, Lily caused her own drama and then didn’t really take responsibility for her actions. However, once Lily had her life epiphany and had a complete character arc reveal she became quite likable, to the point that I am looking forward to reading more about her in the rest of the series. So whilst I would say that Poppy Does Paris is more enjoyable do not give up Lily Does LA. Lily does become more likable and her story was actually very enjoyable. A little over a week ago I was asked for identification in my local shop. I had gone in to pick up a bottle of wine for my mum as a little thank you for just being awesome. When at the till I had to whip out my provisional license (no, I still cannot drive) and offer the photographic evidence of my age. As the title of this blog piece states, I indeed am above legal drinking age. I cannot tell you how immeasurably happy I feel when I get ID’d. It is not that I feel old and it is not that I look old or indeed my age. I like to believe that I am young of spirit. Pretty hippy-dippy but hey, I’m going with that. So, why blog about turning 31? It isn’t a milestone birthday nor is it something most people want to celebrate…especially when they realise that the next big birthday is 40. However, I felt that I have been through a lot this year and it is time to celebrate. The thought came to me when my mother came home from work quite teary eyed. She told me that she was thinking about the fact that my birthday was approaching and how she couldn’t have coped if I hadn’t made it to 31. Earlier in the year I became quite ill and whilst I am fine now it is all linked back to my chronic condition – Ulcerative Colitis. I told her to not be daft and that I am fine but you know how mothers’ do worry. So instead of dwelling on the bad I am focusing on the good. The good things that have happened in this my 31st year in the great adventure we call life. I can successfully travel to my boyfriend Matt’s house without questioning the route now. We do the long distance thing and the first however-many-times I travelled I would constantly be worried I was on the wrong train or platform. I know the route without thinking or worrying now and they makes me happy. There is going to be a quick boyfriend theme – I’ll get them out the way so that people don’t vomit rainbows of happiness everywhere. This year Matt met the two most important people in my life – my mum and sister. He effortlessly charmed them and whilst their approval isn’t the most important thing to me I am happier knowing that they care about him because they like him not because they care about me enough to like him. Ok and now for a huge sappy proclamation of love. I’m just thankful that I have such a brilliant man in my life. He makes me happy, not just for the big things that he does (which due to his generous nature he does to often) but for the little things like the cake and the picking the old toothpaste off my toothbrush. He really is amazing. I’m thankful to the nurses and doctors and support staff in Aintree hospital who continue to look after me so well. Finally, I am thankful to the book blogging community. I started writing reviews on a personal blog as a way to stave off the boredom whilst I was off recuperating. Through it I have become friends with some really lovely people. So for that I thank you all. So yes, at 31 I can honestly say that I am happy. Long may it continue. Happy birthday to me (and Avril Lavigne and Meatloaf) for tomorrow. Having never read any of the 33/3rd series before I was both curious and apprehensive over what I was about to get myself into. My trepidation came from the poor experience I had reading the last book about music which to be quite honest was just self indulgent and at times boring (you can read the review for that here) but also because ever since I was a little girl I have loved the music of Michael Jackson. I know that in this media saturated society in which we live it is hard to discuss anything to do with celebrities without looking at things from a gossipy angle. And with a life filled with controversy such as the one Michael Jackson led, I was convinced that I was about to read something which was more about the man than the music. I was both wrong and also a little bit right. Let me explain. Fast’s book focuses on the Dangerous album which was released in 1991. Admittedly, it is not my favourite album by Jackson and when listening to it I will often skip ahead to my favourite tracks. However, I have never before taken the album to be a social artefact. It is an album of its time looking at such large themes – isolation, loneliness, race, gender – themes you would find in the works of great literature, not what you would expect from an album released in the 90s. Yet it is all there. There are songs that are an expression of anger over events that have taken place and songs that almost scream at you for making snap and often wrong judgements. It is more than just an album. I can honestly say that after reading Michael Jackson’s Dangerous by Susan Fast I will never listen to the album in the same way ever again. This is a truly fascinating book for fans of Michael Jackson and social historians. 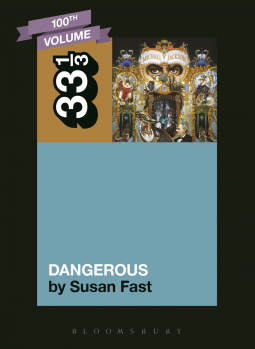 Michael Jackson’s Dangerous by Susan Fast is available now. When Tom wakes up to a note from his girlfriend Hayley saying that she has left but not left him, Tom’s life is thrown into turmoil. With only a small suitcase of her belongings gone, Tom is left in limbo. He tries to carry on as normal but when he hears a strange message on his answer phone from the mysterious Andy mentioning “the place” Tom becomes determined to solve the mystery of Hayley’s departure. What ensues is a series of wacky misadventures, growing friendships and dare I say it – personal growth. I have been toying with the idea of reading a book by Danny Wallace for a while. I have purchased a few and they sit on my shelf, tentatively and patiently waiting to be picked up and read. However, it was due to my desire to get my NetGalley percentage up that made me read Who Is Tom Ditto? Sorry Danny. 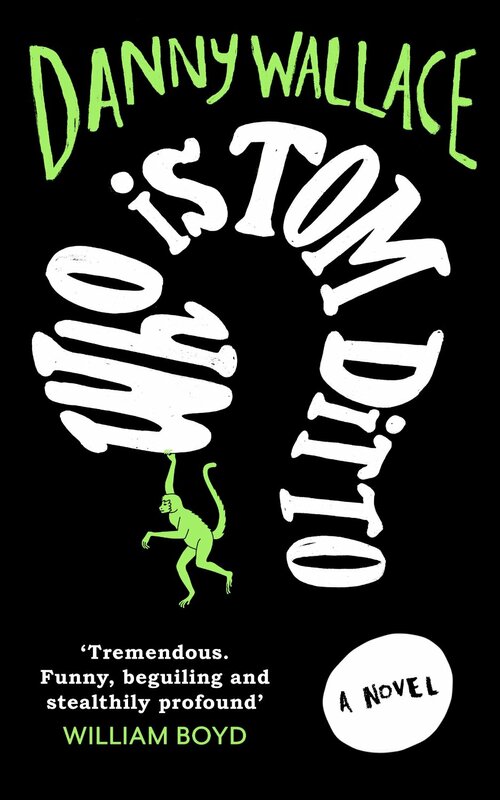 I’m awfully glad that I did read Who Is Tom Ditto? It is sharp, witty and a little bit bonkers. It is honestly like no book I have ever read before. The storyline came way out of left field. It has also made me a little curious as to whether there actually is a pocket of people who actually do follow people about. I will try to be a lot more aware of folks around me from now on. Tom, bless him, was just a victim of circumstance. A too trusting guy who was dealt a massive bow by his girlfriend and it was endearing to watch him try to hold his life together and figure out what was going on in his life. The cast of characters around him all added to the story in colourful and interesting ways. Strangely, even though the book tied everything up neatly at the end – which those of you who read my reviews know is often times my biggest bugbear – I really liked that there were no loose ends in Who Is Tom Ditto? Heroes became heroic and villains got there comeuppance. One of the highest accolades I can give this book is that I read it in one sitting. I didn’t want to put it down. Danny Wallace has a new fan in Lisa Bentley. I will most definitely be pushing his other fictional work – Charlotte Street – higher up my personal TBR pile. Who Is Tom Ditto? by Danny Wallace is available now.